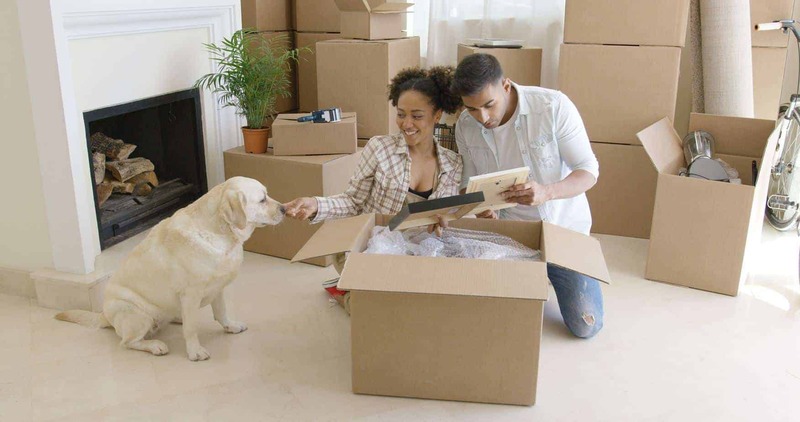 Moving with your pet involves keeping your dog safe and comfortable and understanding their behavior may change as they struggle with the move. Moving to a new home is an exciting yet stressful adventure. Your pets probably feel that same feeling — though perhaps more stress than excitement, depending on the animal. Moving with your pet from home to home is not just about picking up their toys and treats and moving them to a new house. The logistics of moving them from place to place involves understanding how your pet is viewing the move. 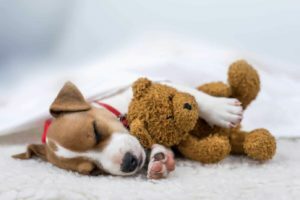 Not only will you want to keep them safe and comfortable, but you’ll also want to understand their behavior and why they may be taking the move a little harder than the human members of the family. With boxes scattered around, new noises, and people coming in and out, your pet can probably tell that something is changing. However, because you can’t explain to them what is going on, they don’t know to associate the changes with a move. Many pets react to change in different ways. Just be aware, some pets may react unfavorably. An outdoor cat may leave to hide; a dog may exhibit anxious behaviors, and caged animals may spend more time away from sight. For this reason, it’s best to give them extra love and keep outdoor pets inside until the move is over. Some things to help them cope before they sense too much is to pack their room (whichever room they prefer to be in) last so that they have that space while everything else is changing. Your pets can sense fear or worry and tend to emulate it. Maintain as stress-free as you can so that your animal doesn’t mirror it. Because they can sense change, keep some things in their life consistent like walks, meals, and bedtime. 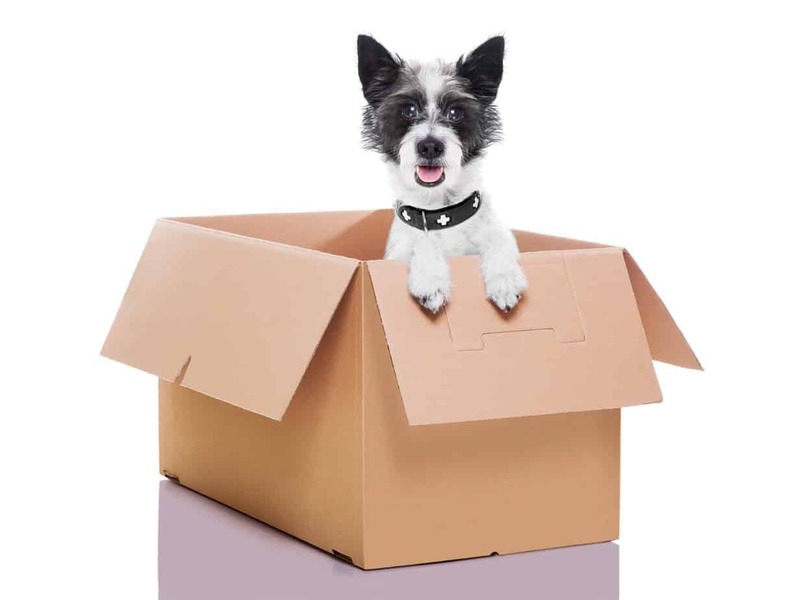 Parts of the move may be scary and confusing for your pets. Some dogs might see it as a fun adventure to ride in the car and see a new backyard with new smells. However, cats tend to be less excited about change and feel cautious. Either way, pay attention to their behavior and try to help them through their feelings of stress, fear, and confusion. A crate will help them to feel safe. You may try putting your dog in a crate and then transporting it to your new home. This way you can open the crate once they reach their destination and allow them to come out when they feel comfortable. Don’t force them to explore and, instead, let them do it in their own time. 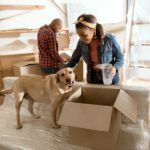 There are many pet moving tips to utilize to help your animal feel okay with a move, but the most important of those is safety. Whether your move is a few miles away or a longer trek, you’ll need to be sure that your pet is safe during that commute. For plane rides, you’ll have to look into your airline regulations for pet travels and decide if your pet will fit as a carry-on or if you need to put him in the cargo hold. For long road trips, you’ll want to plan for their needs during the drive including pet-friendly hotels, bathroom breaks, and food and water breaks. Even for short trips across town, be sure your pet is in a stable carrier that is vehicle friendly. No matter how far you’re going, your pet’s safety during travel has to be your number one concern. Because your pet may be scared or confused, their behavior can become erratic or out of the norm for them. 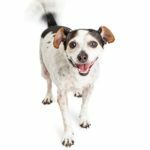 Prepare for these situations, so you understand your dog’s behavior. Even the friendliest and confident cat may hide and become agitated. Your dog may have an accident in their new home or get sick during the drive. Even reptiles or birds may stop eating when they are moved due to the stress. If you’re concerned, talk to your vet about these behaviors and how to help. Be aware of the things you may forget in your move and remember your pet’s essentials as well as yours to help calm any unpredictable behavior. Sometimes a familiar bed, some exercise, and an extra treat can help them to feel comfortable. There are some things you can do throughout the moving process to aid in their comfort during a move. For one, you may offer them a tour of their new home before moving day and make them familiar with your new space. You might opt to keep their enclosure covered with a blanket for a while to help them feel safe. Try to keep their routine during the move. Ask a friend to pet sit on moving day, so your dog doesn’t have to experience the chaos. Hiring professional packers and movers can help make the process more organized and leave you with more time to comfort your animal through the move. Give them their favorite blanket or toy and give them extra cuddle time. Giving them comfort will help them to feel better during a potentially confusing time for them. Moving with pets can be difficult because you can’t explain to them what is happening. Granted, many of them may feel completely okay with the changes. However, some will not. 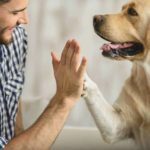 To make the move a smooth one for your pets, it’s important to understand the possibility of the move stressing them out and know how to help alleviate that stress as much as you can. Devin Morrissey prides himself on being a jack of all trades; his career trajectory is more a zigzag than an obvious trend, just the way he likes it. He pops up across the Pacific Northwest, dragging his dog around whenever possible. You can follow him more reliably on Twitter.